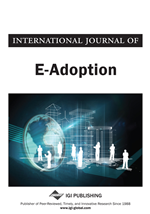 This study used the combined Technology Acceptance Model (TAM) and Theory of Planned Behavior (TPB) as the theoretical underpinning to examine the adoption of Internet banking. Five factors (perceived ease of use, perceived usefulness, attitude, subjective norms, and perceived behavioral control) were identified to model their impact on intention to adopt Internet banking individual bank customers in Malaysia. Survey questions from prior studies were adopted and customized to collect data. A total of 239 customers responded to the survey. Partial least Square (PLS) SmartPLS M2 Version 2.0 was used for data analysis. Perceived ease of use significantly influenced perceived usefulness but did not impact attitude. Perceived usefulness was positively related to attitude and also intention to use. Attitude and subjective norm were significant predictors of intention to use while perceived behavioral control was not significant. Further to that we conducted an Importance-Performance matrix analysis to determine priority variables to focus on for the implications to practitioners. Banks decide to invest in Internet banking for many reasons; among these are: pressures to cut costs, increase information richness for customers, pressures to produce more without increasing costs, improve the quality of services in order to stay in business or to reach a wider audience. (Rouibah et al., 2009). The number of banks adopting Internet banking is increasing over the world even in less developed countries, e.g. but not limited to, Hong Kong (Liao et al., 1999; Wan et al., 2005), Singapore (Tan & Teo 2000; Wang et al., 2003), Finland (Pikkarainen et al., 2004), USA (Lassar et al., 2005) Korea (Suh & Han 2002), Taiwan (Shih & Fang 2004; Shih & Fang, 2006), and Estonia (Erriksson et al., 2005). There has been little prior research into critical influences on Internet banking services adoption in Malaysia (Suganthi & Balachandran, 2001; Ramayah et al., 2003, Ramayah et al., 2008; Guriting & Ndubisi, 2006; Rouibah et al., 2009) The banking sector in Asia including Malaysia is a rapidly growing market. Many western banks are very interested in establishing in this part of the world and building branches since there are 13 foreign banks among 23 in Malaysia. The banking systems have been investing millions of dollars in automation to reduce cost but are the users receptive? Therefore, it is important to understand the management actions and investment in Internet banking. To achieve this goal, this study reports important empirical data on the adoption of Internet banking services. This study will also explore the use of the Importance-Performance matrix analysis to identify priority factors that can be enhanced to increase usage. This section will discuss the conceptual underpinning and also the hypothesis developed for the research. TPB is an extension of the TRA (Ajzen & Fishbein, 1980; Fishbein & Ajzen, 1975), due to the limitation of TRA to deal with behavior over which individuals have incomplete volitional control (Ajzen, 1991; 2001). According to TPB, people’s actions are determined by their intentions, which are influenced by their perceived behavioral control, besides attitude and subjective norm. Perceived behavioral control refers to the perception of internal and external resource constraints on performing the behavior. Control beliefs reflect the perceived difficulty (or ease) with which the behavior may be affected with perceived facility acting as important weighting criteria (Ajzen, 1991; 2001). In the case of Internet banking, control beliefs refer to knowing how to perform transactions via Internet banking and facility refers to external resource constraints, such as time, money, andresources. Based on the TRA, Davis (1989) developed the TAM model. It states that an individual’s system usage is determined by BI, which, in turn, is determined by his attitude toward the behavior, which in turn is determined by two beliefs: perceived usefulness (PU) and perceived ease of use (PEOU). PU refers to the extent to which a person believes that using the system will improve his or her job performance (Davis et al., 1989). PEOU refers to the extent to which a person believes that using the system will be free of effort (Davis et al., 1989). TAM is the most widely applied model that information systems researchers have used to explain or predict the motivational factors underlying user acceptance of technology.